Hello! 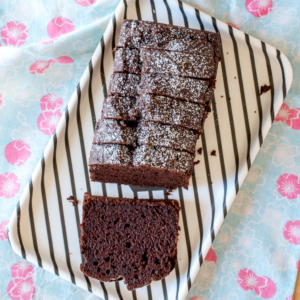 Back to share another okara recipe! 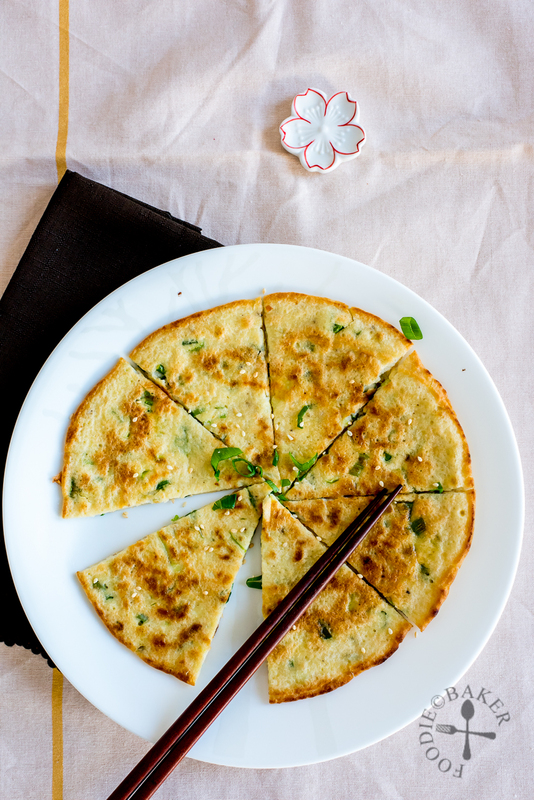 I stumbled upon this savoury vegetarian okara pancake recipe while Googling – and it turned out to be a very simple yet delicious pancake that is perfect as a side dish with other dishes and rice. Also, unless you tell your guests, I don’t think they will be able to tell there’s okara in it! 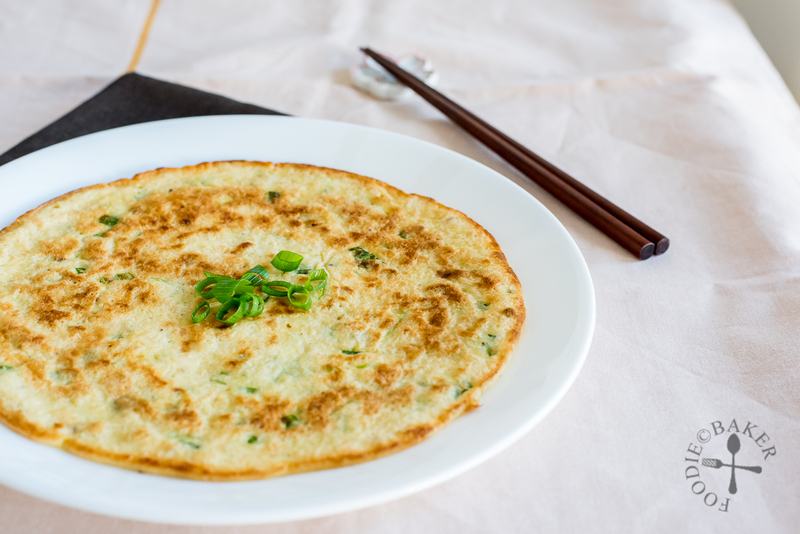 The okara is mixed with basic pantry ingredients like egg, flour and soy milk to make a thick pancake batter. 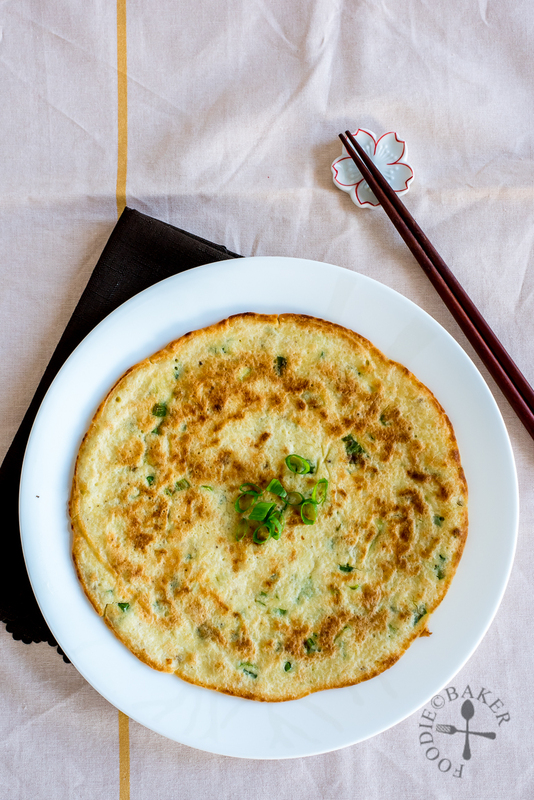 This time round, only spring onion is used for the okara pancake – don’t skimp on the spring onion because they add lots of flavour to the pancake! 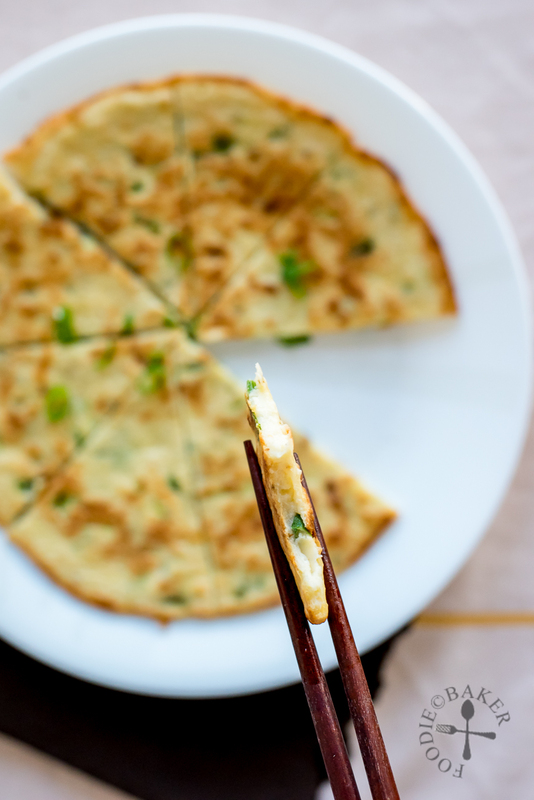 I can totally imagine mixing in seafood to make it similar to the Korean Seafood Pancake (Haemul Pajeon) or mixing in shredded cabbage to make an okara-style Japanese Savoury Pancake (Okonomiyaki) – will attempt these pancakes next and share on the blog (hopefully soon!) And here’s how to make this easy okara pancake! 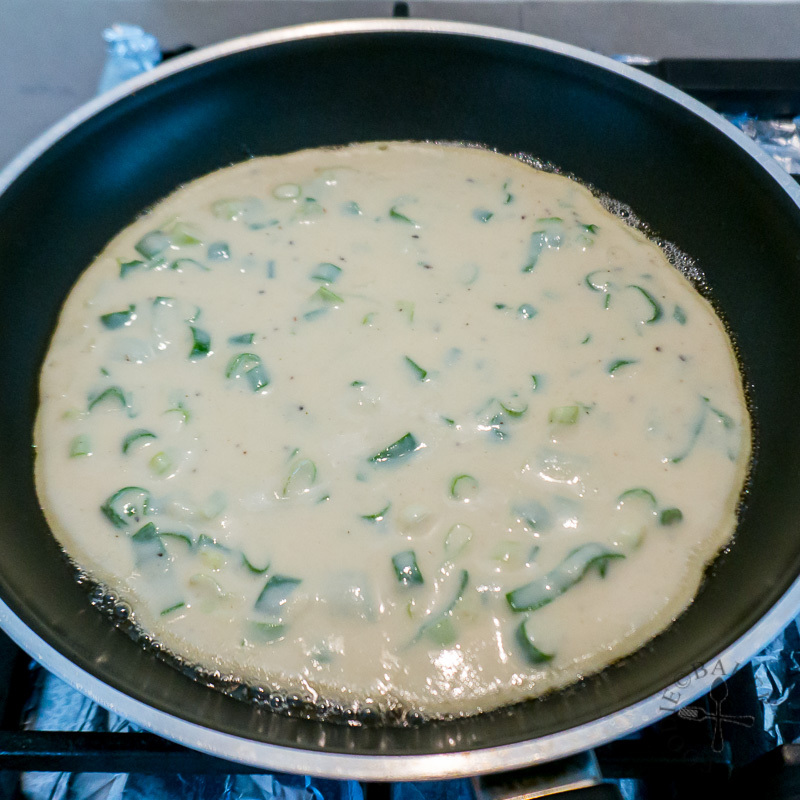 3) Whisk in soy milk to make a thick pancake consistency. Stir in salt, black pepper and sesame oil. 4) Pan fry for 4 to 5 minutes on each side until golden brown and crispy. 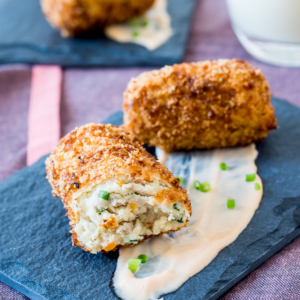 Here are two more okara recipes should you be interested! 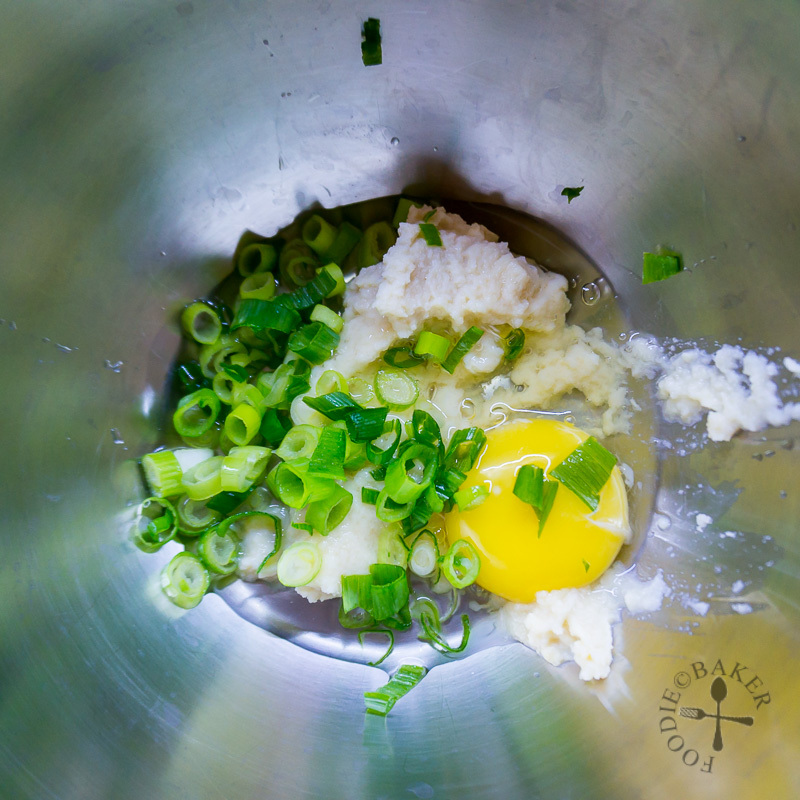 Whisk egg, okara and chopped spring onion together in a mixing bowl. 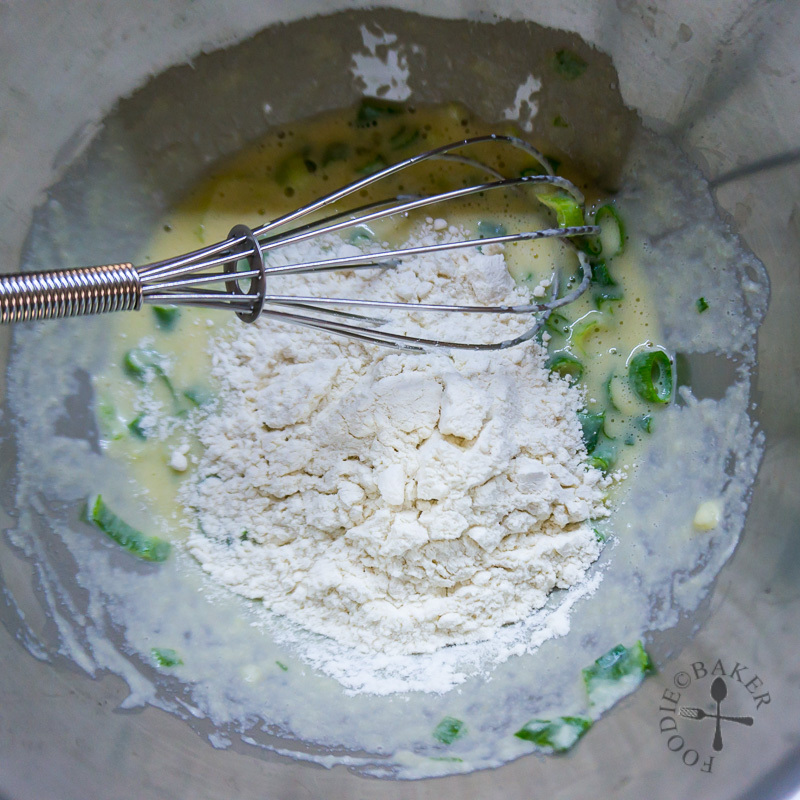 Whisk in flour, followed by soy milk to make a thick pancake consistency. Stir in salt, black pepper and sesame oil. Heat a 10-inch non-stick pan over medium-low heat. 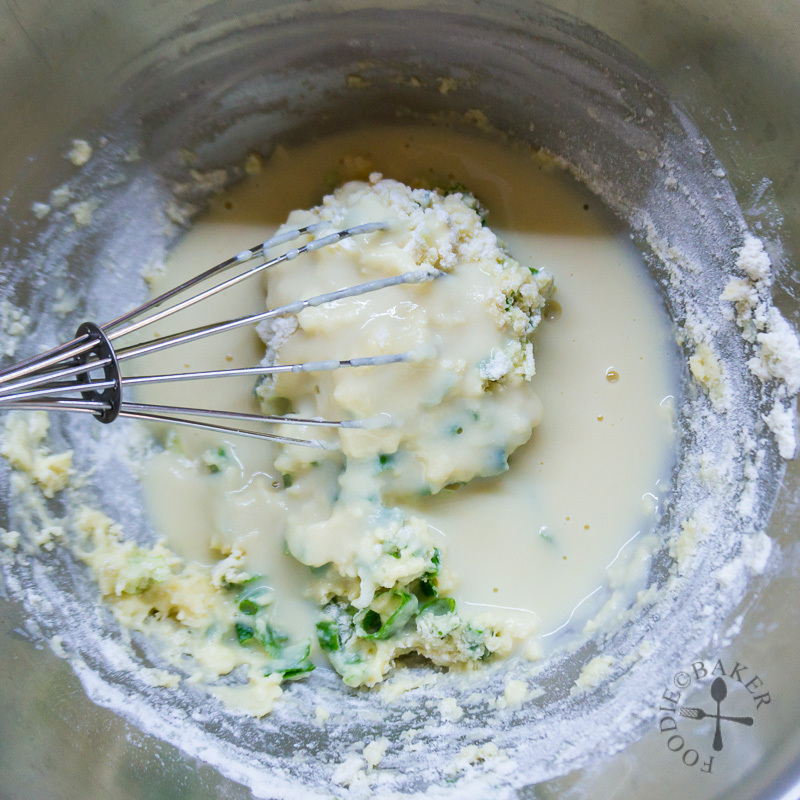 Add in 1 tablespoon oil and pour in the batter. Cook for 4 to 5 minutes until golden-brown and crispy at the bottom. Flip the pancake, add in the remaining oil and cook until the other is golden brown as well, another 4 to 5 minutes. Slide the pancake onto a serving plate, cut into wedges and serve with the dipping sauce. - If your frying pan is smaller than 10 inches, divide the batter to make two smaller pancakes instead of one. So, instead of okara (because I don’t know what it is and if we have it here) I used minced beef! And it turned out crazy good! I’m not so crazy about cooking but you are slowly converting me Jasline! I’m so glad I stumbled upon your site. I’m looking forward to trying out the minced pork and potato dish soon. Wishing you blessings and love from Uganda! Hi Olive, thanks for visiting! Okara is a soy bean pulp, the solid by-product from making soy milk. So glad the pancake still turned out good with minced beef! Hope you enjoy the minced pork and potato dish too, it’s one of my favourites!